Luxury is a term used to describe a high level of elegance and great comfort. Creating this type of experience for your guests has its challenges when planning a destination wedding. Where do you begin? Who do you talk to first? Who can you trust? Engaged couple researching their destination wedding. 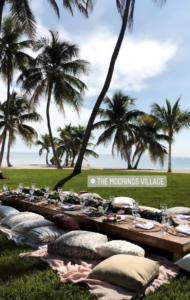 Here, in the Florida Keys we plan all types of weddings. The luxury wedding is something we try to infuse in all nuptial gatherings. We want all of your guests to feel like they are in a strikingly gorgeous setting, feeling comfortable and relaxed. 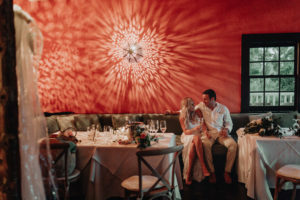 To get the best experience possible, here are a few tips to help plan your luxury wedding. 1. 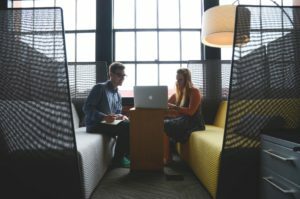 Hire a Planner who can infuse a unique set of design skills. Your planner will be able to lead and guide you through the next steps and also be able to read your style and personal aesthetic. Find a planner who has a unique profile. 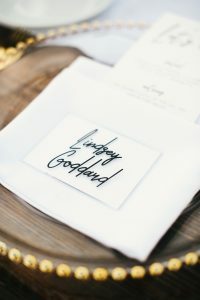 If your planner’s weddings are different each time, that’s a good sign yours will be unique too, and your planner will tune in to your personal style, not a look or feel that happens to be trendy. Luxury is by no means stuffy. It’s being able to enjoy yourself to the fullest in a beautiful, yet comfortable setting. 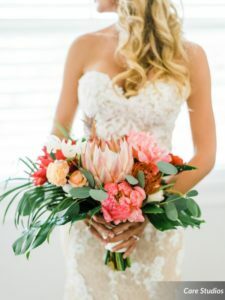 Once the wedding plans are under control don’t forget about the peripheral activities such as planning an intimate bridal brunch or welcome dinner. 3. Don’t skimp on your photographer. One thing you have to hold forever is your amazing and lovely other half, but the photos are also the only thing you will have to remember the day with. Have your photos reflect the quality you want to remember. 4. Always go full service. Before hiring a vendor to be on your dream team, have a clear idea of what they offer and what they don’t. Catering teams should be responsible for setting tables and folding napkins on site. If you have a venue where you are bringing in your own catering, this may be something you will come across. A full service catering company may cost more, but you won’t be nickel and dimed at the last minute once you realize the services they don’t offer. Of course hiring a planner, you will avoid this. 5. Do not try to DIY “Do it yourself”. I know, I know your mother’s friend’s cousin does flowers. Just don’t. Destination weddings are hard enough to plan from afar. Let the local professional handle it and you will be much happier knowing the job will get done and you wont need to help or arrange things for them last minute. If your friend happens to be a professional and can bring their own equipment like a photographer and a band, then that usually works out well. Thanks for reading all the way to the bottom. For more tips and tricks, feel free to reach out to Julia from Blue Water Weddings with questions. We love to help!